I have writers block so I wanted to do a fun and easy post. Bonus! It will help you Beauties get to know me a little better 🙂 Grab a snack and/or some wine 😉 and stick around to see all my answers to the 30 Beauty Questions Tag. It has to be magic! Lengthens, and volumizes without clumping and smudging. I’m still on the search for the end all – be all mascara! I have found some amazing contenders that I love and use over and over, but they aren’t perfect. In Green Beauty I find a lot of them are “high end” in price point, but than again, what is your definition of “high end”? FitGlow is top of my list for “high end” beauty. The price is higher than most, but the quality and ingredients are top notch. Any chance I get to go bare face I take it! I don’t belive that you need to wear it 24/7. I wear it for me because I enjoy it! I always have a lip gloss in my purse or pocket. Dry lips are the devil! Oh geeze….I look at websites all day every day! I fill up my cart and let it sit there until a sale or they send a discount code 🙂 It depends on the company if I buy per piece as I run out or if I buy in bulk. Some companies have better deals (Free shipping, gift with purchase) if you spend more. Since some of the companies I like are in the USA, the shipping is not worth it to only buy one item. I spend freely but am always shopping around for a deal and use coupon codes wherever possible. I have yet to find a brand in the Natural, Green Beauty Community that I have not liked. There are products within companies that I did not enjoy or did not work for me, but none that I straight up can’t stand. Yes. Parabens, sulfates, gluten, talc, fragrances…. Some I am more lenient with, others are non negotiable. Cruelty free is a huge one as well for me. Online. Since a lot of the brands that I buy are not in a store in or near where I live, online is the best place to obtain the products! I have sensitive and oily/combo skin, so switching up my products all willy-nilly all the time is dangerous. I do love trying new products and will, I just have to ease into them. 100% Pure has amazing packaging, followed by a very close 2nd: FitGLow. I love the pink of their packaging and it’s all recyclable. A few Facebook Communities and Pinterest Group Boards. Nope. I seem to only use what they are intended for or what works for me. I do not wear a lot of eyeshadow because it always get everywhere! I have oily lids so this is a must for me and I usually use whatever concealer I have on the go. Nothing fancy. I do not wash my hair everyday. When it is wash day I use 2. One to treat and protect from heat and one to smooth and defrizz. If it is day 2 or 3, I will use a dry shampoo depending on the hairstyle of the day. There you have it Beauties! A little look into my world 🙂 I tag YOU to do the tag! Link back to me or leave me your link in the comments so I can come see your answers! Disclaimer: All products were purchased by me unless otherwise stated. These are my own, personal, honest opinions. Not a sponsored review. Talsbeautyopinion is not a makeup artist, beauty or skincare specialist and will not be held liable for any recommendations. Therefore, try at your own risk. This was really interesting! 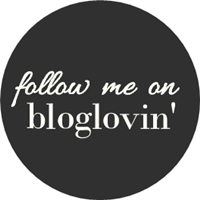 I love getting to know bloggers through these tags!! Hi Lily. Thanks for stopping by. I have yet to try the eye liner from 100% Pure but I was eyeing it. Thanks for the feed back! Good to learn a bit more about your beauty habits and loves! Thanks for stopping by Ingrid! I’m a glasses wearer too (since I was 1!). I actually grew up wearing contacts from the age of 9 (very young at the time but I was a gymnast) but now my vision is so bad that contacts for my eyes are $400 each so I have had to get used to not wearing them 😦 I hear ardell have just brought out new really short lashes for glasses wearers – I’m just far too blind without them to even attempt putting them on lol. I love going makeup free too. I rarely wear makeup to the shops or anything and my skin is so much better for it. Hi alintamcmurdo! thanks for stopping by. I’ll have to check out the Ardell lashes. Thank for the recommendation!